Obsidian with Home Connect is a sleek smart lock set apart by its striking design, SecureScreen technology and Z-Wave 500 chipset. The smart lock is a distinct choice for those in the market for a modern, connected deadbolt. Obsidian was thoughtfully designed by Kwikset without the keyway to deliver on consumer demand for a low-profile smart lock. The deadbolt is square shaped with a sleek touchscreen and projects less than one inch off the door. Its polished aesthetic is equally matched by its innovative features, like SecureScreen technology, that enhance its value. SecureScreen technology helps prevent against unwanted entry. Users are prompted to touch two random numbers before entering their code to encourage fingerprints across the screen. 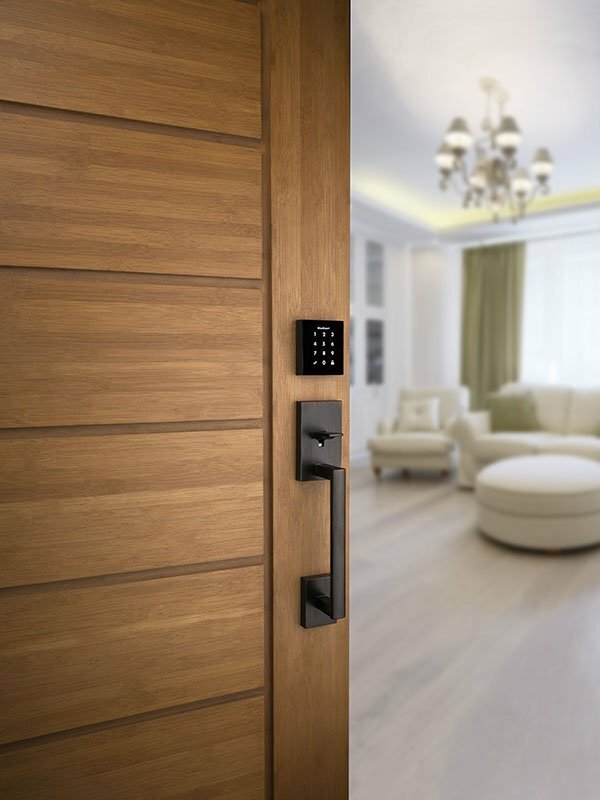 The second feature, the Z-Wave 500 chipset, makes Obsidian with Home Connect one of the first smart locks to be Z-Wave Plus certified. Using the latest Z-Wave 500 chipset, Obsidian with Home Connect integrates with Z-Wave smart home systems to give homeowners the ability to control and monitor the lock from anywhere. 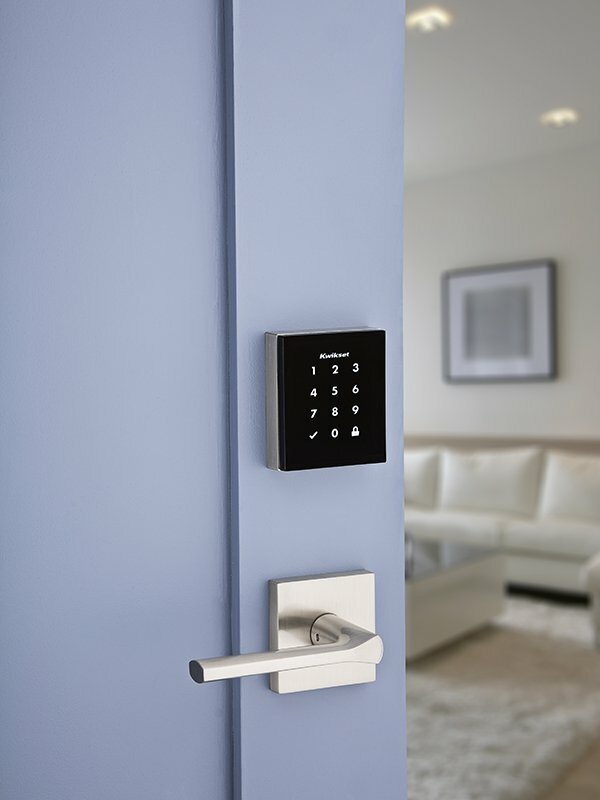 And for granting guest access, homeowners can assign each person a code to lock or unlock the door via Obsidian’s capacitive touchscreen. An August 2018 article from Contract Magazine looked at the increase in builder adoption of smart homes and found that builders who want to stay relevant in the next ten years must consider including smart devices in new builds or remodels now. With the introduction of Obsidian with Home Connect in October 2018, Kwikset is opening a news sales channel for builders and contractors seeking a modern looking smart lock. The key-free smart lock is extremely low-profile and is available in two popular finishes, Satin Nickel or Venetian Bronze. When paired with a smart home security system, Obsidian can be controlled through the smart phone app for the particular system and connected to other smart home products—both top desired features for a smart lock according to Kwikset-led consumer research. 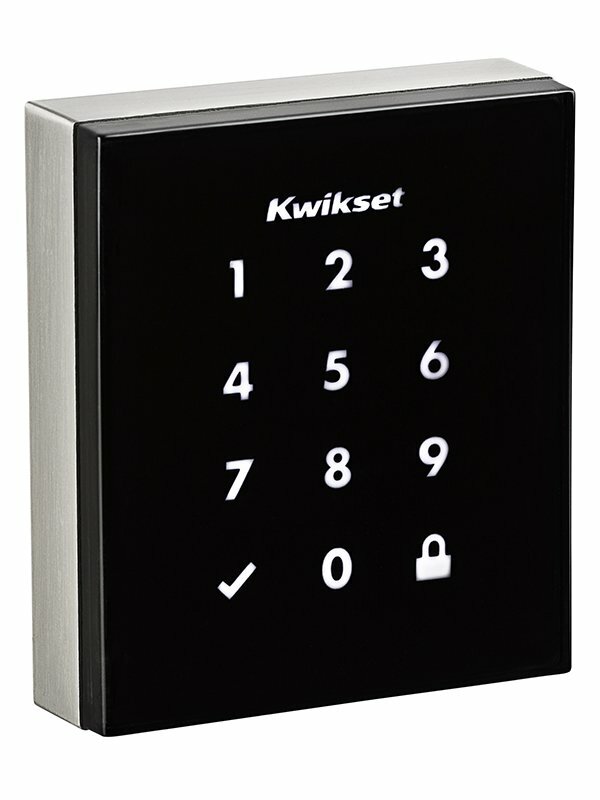 Obsidian with Home Connect is backed by the Kwikset commitment to meeting homeowners’ needs by delivering highly-valued security, convenience and style. 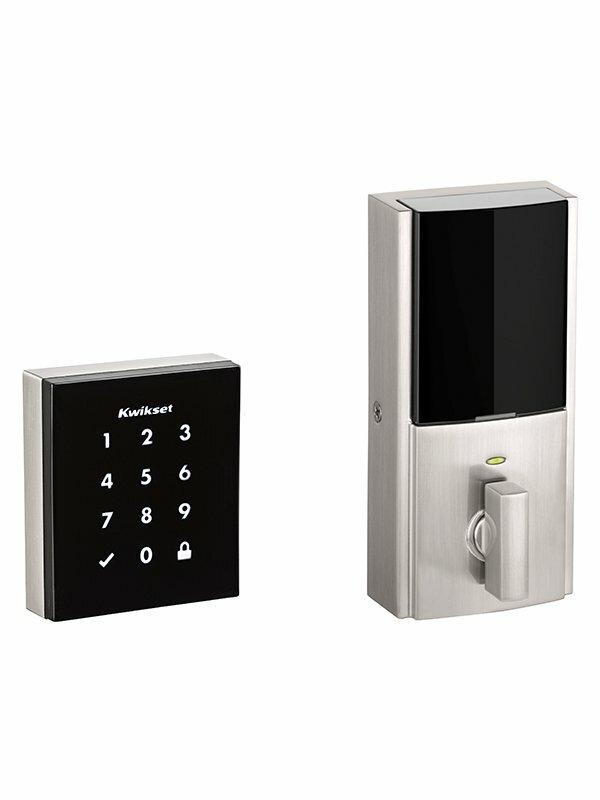 The smart lock features SecureScreen technology to protect against unwanted entry commonly associated with other touchscreen products, and the Z-Wave 500 chipset, which enables superior network security and encryption. Additionally, the battery-powered smart lock features an unobtrusive 9V terminal at the bottom of the deadbolt exterior that acts as a backup power source to power the screen in the case in case the batteries die before a homeowner is able to change the batteries. 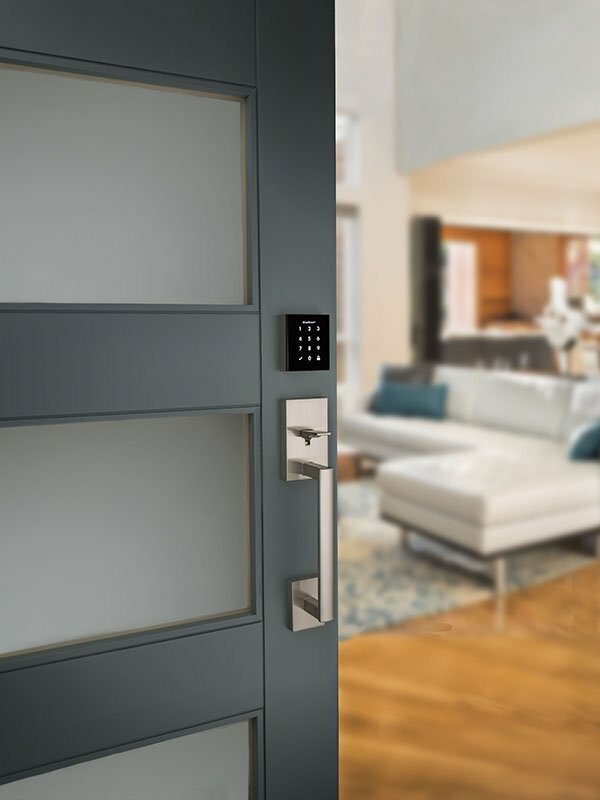 Homeowners simply touch a 9V battery to the smart lock’s discreet terminal for a quick charge, powering the touchscreen enough to enter the code to unlock the door and enable the homeowner to change its batteries. The homeowner will receive notifications via an interior light when batteries are running low. Lastly, Obsidian with Home Connect seamlessly integrates into any modern home with its sleek design and is compatible with all Z-Wave smart home systems for an immaculate user-experience.